Since the last (and indeed first!) JBCA newsletter, a good deal of progress has been made in developing a vision for the future of e-MERLIN. Based on input from the community meeting towards the end of 2016, two joint (Manchester/Cambridge/Oxford) proposals were submitted to STFC - one seeking to extend e-MERLIN operations for another 5 years (2018–2023) and another proposing an exciting upgrade path that would significantly enhance and extend the kind of science e-MERLIN can address. The operational programme also featured the addition of Goonhilly to the array (doubling the resolution and improving image fidelity on southern sources) and beam-forming of the Lovell Telescope and e-MERLIN together (creating a supersensitive telescope for Pulsars and the localisation of transient phenomena). Increasing the number of days of Lovell Telescope (LT) time within the e-MERLIN array was another feature of the operations proposal - currently the demand for e-MERLIN time that includes the LT is oversubscribed by more than a factor of x5. The upgrade programme would add receivers at both S and X-band, providing astronomers with near continuous frequency coverage between 1–24 GHz. Broad-banding of the data network would also permit 8GHz bandwidths, very desirable at the higher frequencies where the detection of faint thermal emission (for example, from proto-planetary disks) is one key driver. The replacement of the Defford Telescope with a spanking new, high-performance SKA dish has also been proposed – in addition to greatly improving the imaging performance of the array at frequencies > 5GHz, this antenna might also serve as an interesting platform to help test and develop new technology for subsequent SKA telescope upgrades e.g. new receivers etc. Last but not least, the upgraded array would adopt the SKA Science Data Processor analysis environment, making sure that e-MERLIN astronomers would be optimally placed to exploit the SKA once operational. 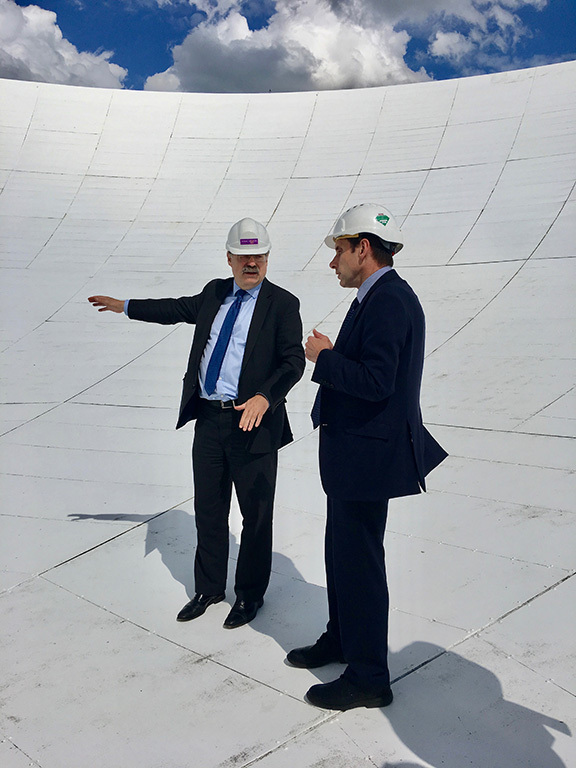 Sir Mark Walport (first picture, left) and Dr. Brian Bowsher (second picture, left) visited Jodrell Bank in July 2017. We recently had an opportunity to present the proposals to the Projects Peer Review Panel, and they have asked us to consider the various option combinations that might be possible within the upgrade plan – a e-MERLIN community workshop to discuss the various options and their priorities has been scheduled for 11-12 September 2017 – we encourage e-MERLIN users to attend – the meeting will also consider how the future evolution of e-MERLIN will also match up with the ambitions of the EVN (European VLBI Network) which is currently developing a roadmap for VLBI science in the next decade. The panel will make a site visit to Jodrell Bank in October with final recommendations expected towards the end of the year. Alongside these exciting developments, a review of radio astronomy in the UK has also been launched. The Radio Astronomy Review Panel (RARP), chaired by Prof. Ian Robson, will consider how to balance investment and resources across the various radio astronomy activities, as the community prepares itself for the scientific exploitation of the SKA. Naturally, we’re keen to see a good balance between SKA Design/Construction activities, investment in the e-MERLIN/VLBI national facility and the nurturing of a new generation of astronomers that will become the future leaders of SKA Key Science Projects. That requires a different approach to how investments are currently planned, and we welcome the more wholistic approach that the creation of the RARP signals. The outcome of the RARP will also influence the future evolution of e-MERLIN, and in particular the newly proposed development programme. In the background to all of this, significant changes are also taking place in how UK research as a whole is funded. The recent establishment of UKRI (UK Research & Innovation), and the vision laid out by its newly appointed CEO, Sir Mark Walport is an exciting one that we support and want to be part of. 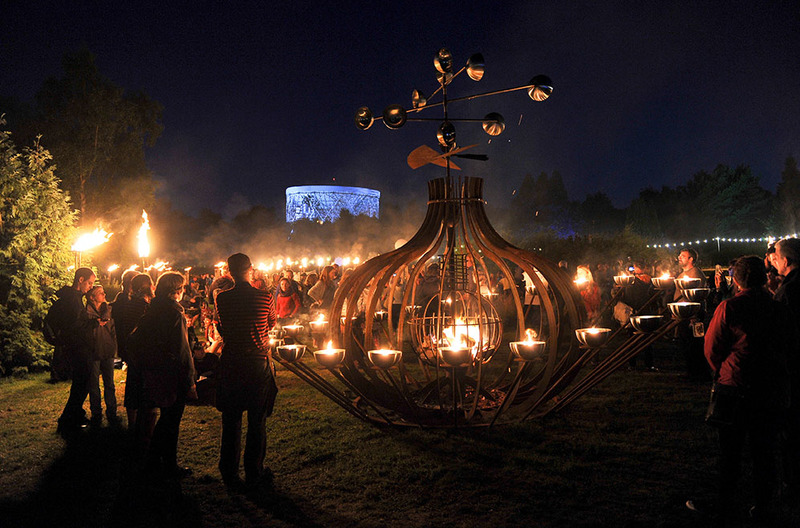 The connection between fundamental science and its economic/social impact is an important one, and JBCA is well placed to deliver on all of these different aspects – the Jodrell Bank site is particularly well placed, as it couples together the ambitions of the Observatory, the SKA HQ and the Jodrell Bank Discovery Centre. Significant interest is also present in seeing an industrial/commercial component becoming present on site. More change is promised with the recent review of the University of Manchester’s Faculty of Science and Engineering. Although the process of consultation has just started, the recommendation is to see a reduction in the number of schools, this would likely see the School of Physics & Astronomy (of which JBCA is a part), merging with another School. We can see many advantages to this proposal, not least the chance to see a more multi-disciplinary aspect to our teaching and research activities. A strong emphasis on multi-disciplinary research is also at the heart of the establishment of UKRI – many of the problems faced in the “real world” require this approach, and we’re interested to see how we can contribute to that vision. Related to that, we have invited Prof. Danielle George (School of Electrical and Electronic Engineering and Associate Dean for Teaching and Learning) to establish a presence in the JBCA 4th floor labs in the Alan Turing Building. We hope to see Dan and her students making good use of the facilities there in the coming months, their expertise is LNAs and receivers is very complementary to the technical activities of our own CMB group. 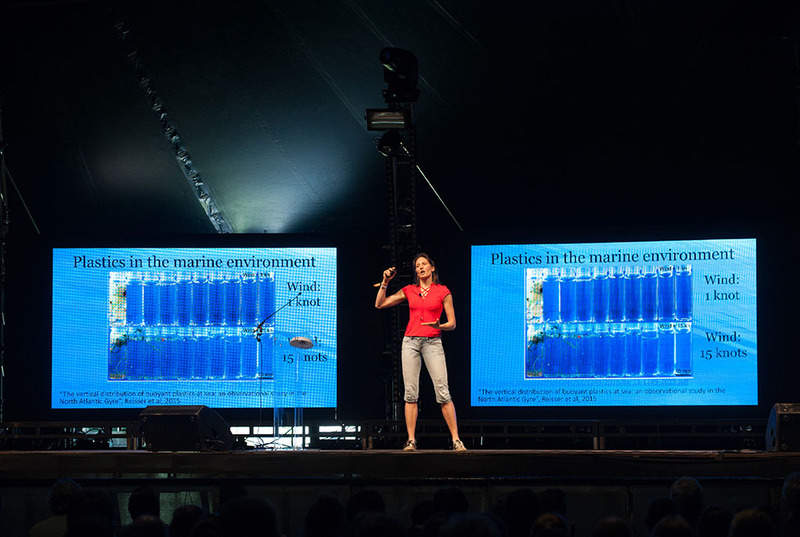 JBCA's Prof. Sarah Bridle presenting 'Seeing the Invisible: Observing the Dark Side of the Universe' at this year's Bluedot Festival. Photo Credit: A. Holloway. 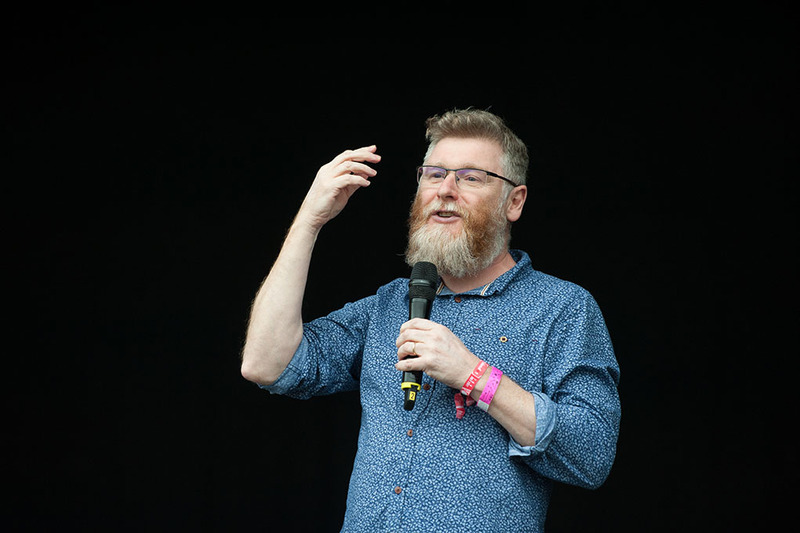 The importance of reaching out to the general public was recently reinforced by the highly successful Bluedot festival (see www.discoverthebluedot.com) held at Jodrell Bank earlier this month. 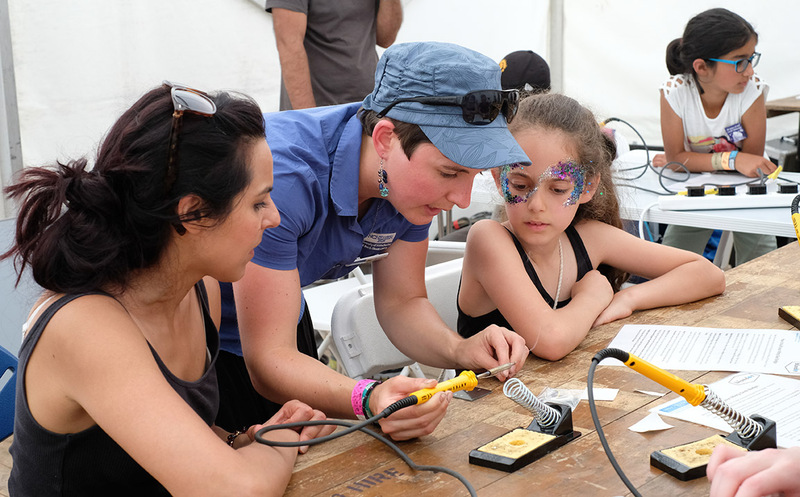 Around 12000 people visited the festival over the weekend to hear a mixture of science talks, music and witness other diverse forms of entertainment. Our staff and students were fully in the thick of it, giving talks to hundreds of people as they packed out the various venues. There was also great interest in the JBCA stand which was placed along side the SKA and STFC stands. 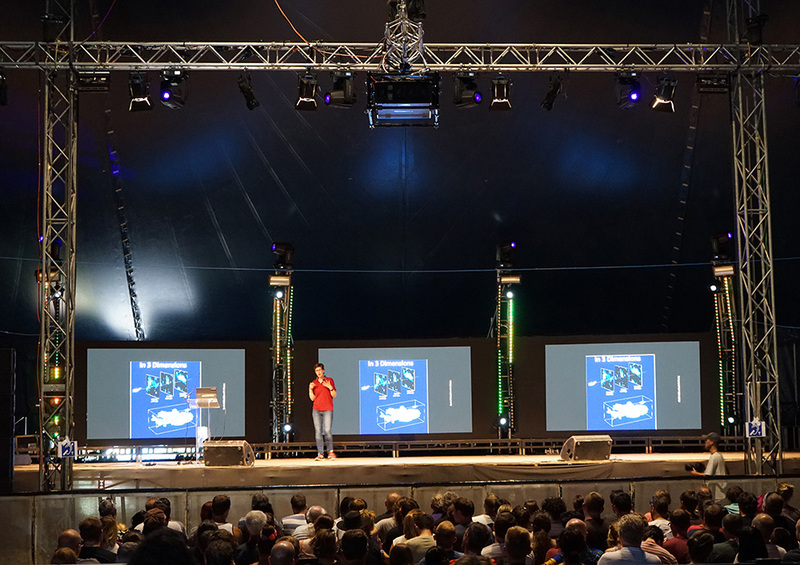 Events like Bluedot remind us that we have a duty to communicate and enthuse the general public with the type of research we conduct, after all, they pay for it! More news includes progress with the Jodrell Bank Masterplan. Responses to tenders have been received to conduct a survey and pilot repair of the original Lovell Telescope (LT) surface, and tenders are being prepared for work to strengthen the telescope foundations and wheel girder structure. The total programme represents a £7M investment in the LT by the University of Manchester, with the full surface replacement scheduled for March 2018. This work will ensure that the scientific lifetime of the LT is extended by at least another 10 years, and well into the coming decade. We would like to invite you to attend a 1.5-day open workshop with two parts, the first part will discuss future developments and science operations of the UK’s National Radio Astronomy Facility, e-MERLIN; in the SKA era. The second part will discuss the future of the EVN (of which e-MERLIN forms an integral part). This will part of a series of planned meetings and other community engagement efforts, to develop a future vision for the EVN as part the Jumping JIVE EU funded project. The joint meeting will be held at the Jodrell Bank Observatory on 11-12th September 2017. This workshop will initially be open to a limited number of attendees, in order to facilitate open discussion. It will comprise of scientific and technical presentations along with extended discussions and the opportunity for the community to input their priorities for future developments and operations of e-MERLIN. We expect a significant focus of the discussion to be on how e-MERLIN can benefit the UK community in preparing for and working with SKA early science; and how e-MERLIN and VLBI (especially the combined e-MERLIN+EVN array) can complement SKA1. In order to facilitate meeting practicalities and organisation please register before 1st September. Members of the community at all career levels are welcome and there will be some financial support for travel and/or accommodation for early career participants (provided by RadioNet). If you require support please contact the LOC as soon as possible and by no later than Aug 15th. RadioNet is an European Union Horizon 2020 Research and Innovation programme under grant agreement No 730562. The combination of e-MERLIN and the Lovell Telescope is a unique, world-class, suite of radio astronomical facilities providing high sensitivity, sub-arcsecond radio imaging, spectroscopic, and polarisation capabilities. These existing facilities already provide an instrument comparable to SKA1-mid in terms of frequency coverage, resolution and bandwidth. In addition to these capabilities, we are currently developing a range of exciting, cost effective, new upgrade possibilities which will increase the frequency coverage, angular resolution, sensitivity along with state-of-the-art developments in software and analysis techniques. 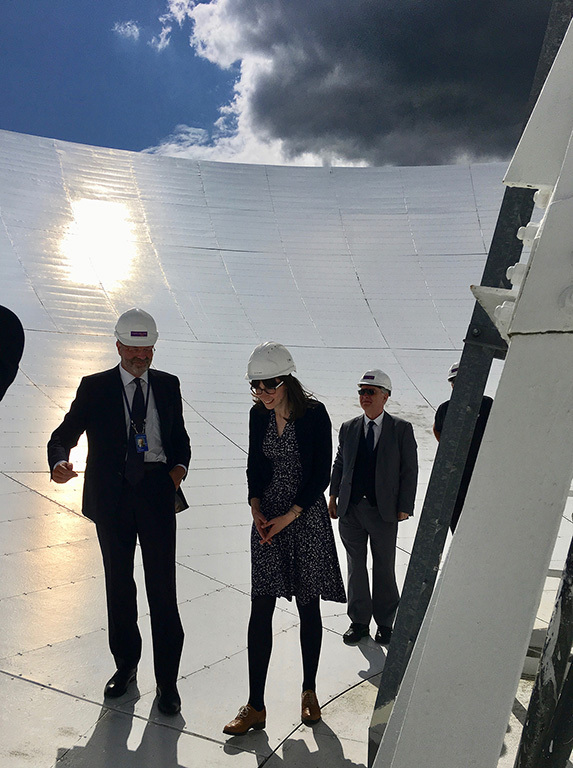 These opportunities will both provide a world-class scientific facility in the UK and substantially strengthen the UK's ability to maximise its scientific return from the SKA. This second workshop will provide an update the community regarding the status of these developments and to discuss how they can be phased/prioritised. The European VLBI Network (EVN) is a world-leading instrument and one of the most sensitive VLBI arrays over a broad range of frequencies available with a wide range of science and technical capabilities. The UK is one of the founding members of the EVN and e-MERLIN/JBO telescopes are a major component of this facility. On-going technical and capability improvements to the EVN, including the integration of e-MERLIN telescopes as a ‘short-spacing’ component, the recent incorporation of new large telescopes (e.g. 64-m Sardinia and 65-m Tianma telescopes), increased real-time and broader-band operations continue to enhancing the EVN’s capabilities. Our discussions on the future of e-MERLIN and its relation to the EVN will provide important feedback for a yet wider community exercise to outline the role of the EVN in the scientific landscape of the next decade, an effort led by JIVE and supported by the Horizon-2020 programme, Jumping JIVE. STFC’s Science Board have recently instigated a ‘UK Radio Astronomy Review Panel’ (RARP) to review the UK’s strategy landscape in radio astronomy. The panel chair Prof Ian Robson will be providing an overview of the work of this panel, which will look at the role of precursor and pathfinder instruments such as e-MERLIN and the EVN in supporting early science with SKA1. As part of the review process, the Panel wish to consult the Community and is particularly interested to receive input on how STFC could best support research and development in preparation for early science with the SKA. RARP are inviting input from all members of the community and request that you please submit your views via the short questionnaire. Closing date for responses to this questionnaire is 21stAugust 2017. On behalf of the SOC and the e-MERLIN/VLBI National Facility. The UK-EU-African collaboration continues to help develop Radio Astronomy in Africa, and the African VLBI Network of telescopes. 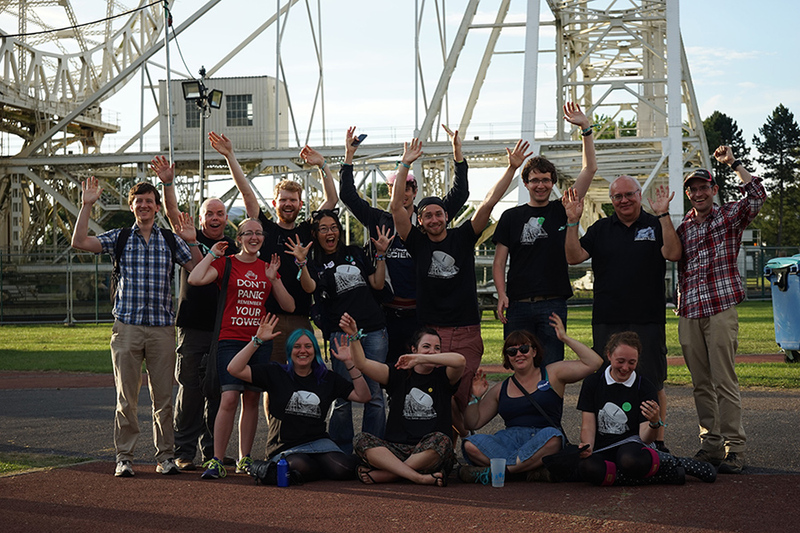 JBCA’s African Odyssey continue... Over the last few months a number of staff and post-graduate students from JBCA have travelled to several sub-Saharian African countries to provide advanced training for staff and students in radio astronomy and interferometry. Each of these ‘African odysseys’ has been a true voyage of discovery for both the lectures and tutors from Manchester and the students who come from countries stretching from Zambia to Ghana and are receiving their first introductions into radio astronomy! The recognised world-leading technical, operational and scientific expertise in radio astronomy and interferometry of JBCA and JBO has meant that it is taking a preeminent role in these projects contribution to all aspects of the organisation, course development and training, as well as technical developments. In just the last few months this has seen JBCA group members teaching students in Kenya (Peter & Althea Wilkinson, Minnie Mao & Hayden Ramparadarth), Zambia (Jack Radcliffe) and Ghana (Tom Scragg, Ben Stappers and Alastair Gunn), as well as drawing on JBCA technical expertise to help design, build and commission instrumental infrastructure and resources at the newly operational 32-m radio telescope in Ghana. Above Left: Peter extolling the wonders of Radio astronomy in Kenya. This new EU-UK-African collaboration is providing an important framework for the development of the AVN and its future operations with the EVN and ultimately the SKA. The future formation of the AVN, via the refurbishment of ex-communication dishes along with new-build telescopes, is internationally recognised as a vital part of the world’s astronomy infrastructure and will boost the sensitivity and resolution of global VLBI networks, especially for targets in the Southern celestial hemisphere. The work of both JUMPING JIVE and DARA to develop the human resources in African countries is a vital step toward the realisation and sustainability of this goal. As recently announced in a joint press-release from Government ministers of both Ghana and South Africa, the work of these projects is now being realised with the first giant leaps toward the scientific operations of the AVN. As reported in July (see Press release 5th July) the 32-m telescope in Kutunse, Ghana has now achieved the first successful detection of fringes during a VLBI (Very Long Baseline Interferometry) test experiment with the European VLBI Network (EVN). The experiment is just one of three positive ‘first-light’ detections, with the other two successes including methanol maser detection and pulsar observations – using hardware and expertise supplied by the JBCA Pulsar group. These activities is jointly supported via the £2.75M STFC Newton funded ‘Development in Africa with Radio Astronomy’ and as part of the nearly 3MEuro EU Horizon 2020 funded JUMPING JIVE infrastructure consortium project, via the work package ‘Capacity for VLBI in Africa’ which is coordinated in Rob Beswick (JBCA/e-MERLIN). This project has received funding from the European Union's Horizon 2020 research and innovation programme under grant agreement No 730884. 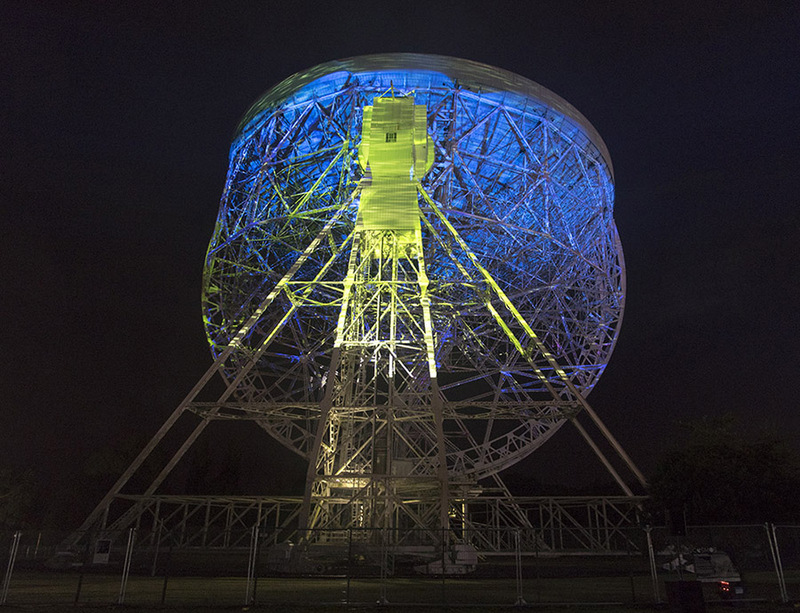 Breakthrough Initiatives and The Jodrell Bank Centre for Astrophysics at The University of Manchester announced a new partnership to search for evidence of intelligent life beyond Earth. 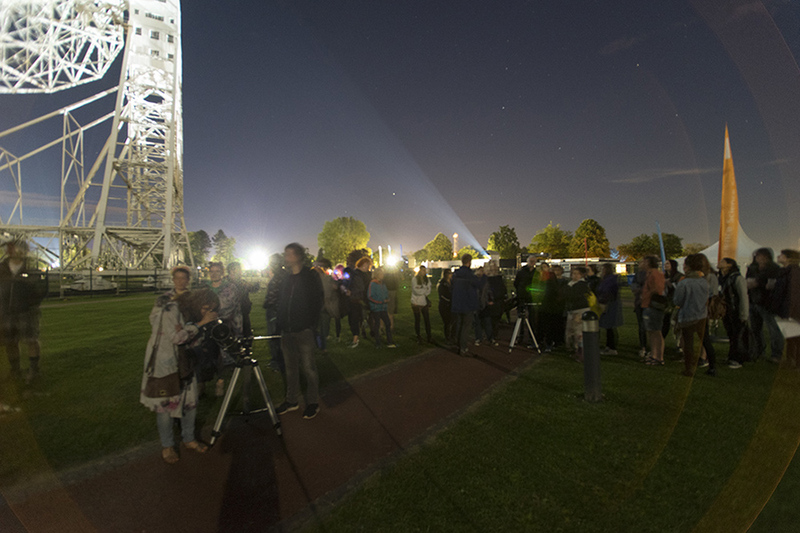 On the 24th through 26th of July, the Jodrell Bank Centre for Astrophysics hosted the Measuring Star Formation in the Radio, Millimetre, and Submillimetre meeting. This meeting brought together over 50 researchers from multiple countries to discuss recent advances in studying star formation in a wide variety of locations ranging from within the Milky Way Galaxy to other nearby galaxies to galaxies in the high-redshift universe. Attendees of the Measuring Star Formation in the Radio, Millimetre, and Submillimetre meeting. Credit: A. Holloway. Multiple talks at the meeting featured research results from e-MERLIN, including observations of individual supernovae remnants and AGN in nearby ultraluminous infrared galaxies as well as images of the radio emission from high-redshift galaxies imaged in the eMERGE survey. Other talks discussed results from a diverse range of telescopes on topics including the identification of and separation of synchrotron, free-free emission, and dust emission in galaxies' spectral energy distributions; the use of infrared, submillimetre, and millimetre spectral line emission to measure star formation rates, initial mass functions, and metallicity; the comparison of infrared and radio emission in a wide range of objects; the identification of AGN within galaxies; and the relation between molecular gas and star formation. While the results from this meeting show that a lot of progress has been made in this field, it is clear that a new era in researching star formation in the radio, millimetre, and submillimetre bands is entering a new era of research. Many new advances can come from telescopes currently in operation, such as ALMA, e-MERLIN, and LOFAR, as well as telescopes that will become operational in the near future, such as the SKA. 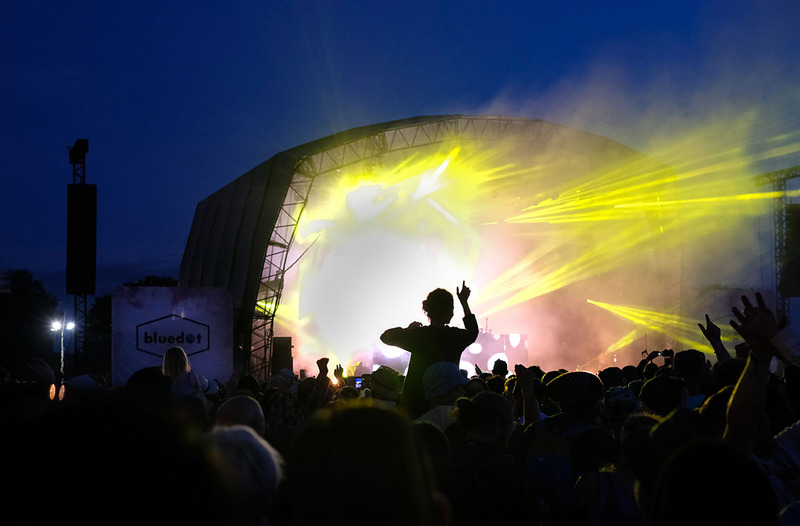 From 7th – 9th July, Jodrell Bank welcomed thousands of festival goers to Bluedot, our annual celebration of science, discovery, live music, and cosmic culture. 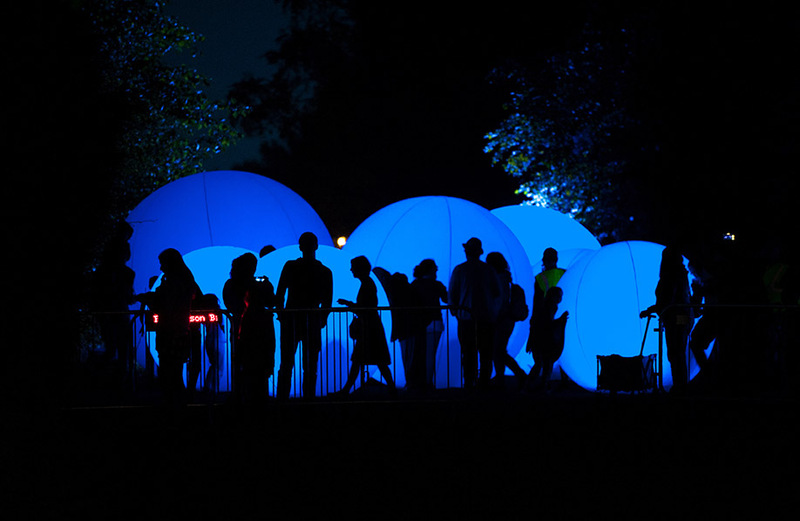 The award-winning festival was back for its second outing with a packed programme of exhibits, talks, experiments, live performances and artistic interventions. 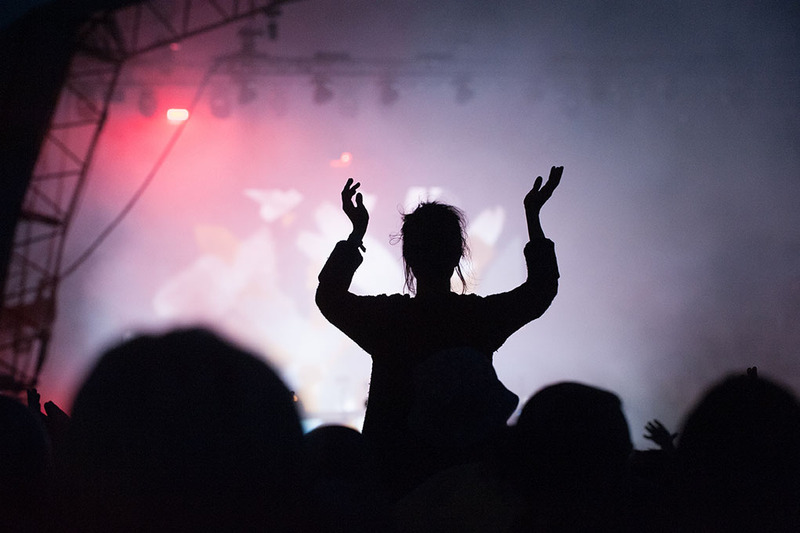 It was a truly mind-expanding and inspiring weekend and we can’t quite believe its all over! 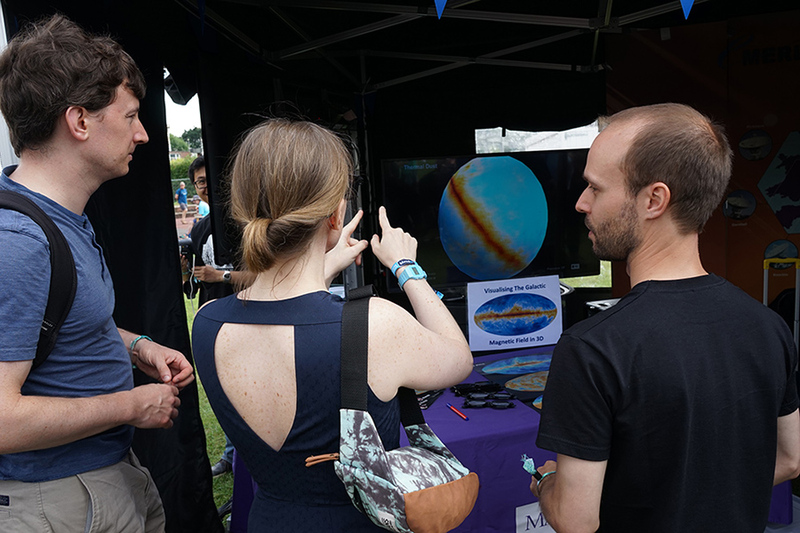 Volunteer staff and students from JBCA were out in force across the weekend, presenting exhibitions, workshops and talks - promoting our research to thousands of attendees. A big thank you to everyone involved! The 38m (124.6ft) Mark II Telescope - now a Grade I listed structure. Credit: M. Peel. The CO Mapping Array Pathfinder (COMAP) will open a new window on both the Epoch of Reionization (EoR) and the Epoch of Galaxy Assembly by using carbon monoxide (CO) lines to trace the distribution of star-forming galaxies in both epochs. Phase I of COMAP comprises a 10-m telescope, located at the Owens Valley Radio Observatory (OVRO), equipped with a 19-pixel, dual polarization spectrometer array that will map a total of 10 square degrees of sky in the frequency range 30-34 GHz, with spectral resolution R~800. This band will be sensitive to CO(1-0) in the redshift slice z=2.4-2.8 and to CO(2-1) in the redshift slice z = 5.8-6.7. The CARMA array. This was a group of telescopes at the Owens Valley Radio Observatory (OVRO), near Bishop, northern California, but has been largely decommissioned. COMAP will utilise one of these 10.4m diameter high frequency telescopes for the pathfinder instrument that will operate over the next 2-3 years. If successful, COMAP will eventually use several telescopes installed with focal plane detector arrays. Prof. Clive Dickinson and Dr. Stuart Harper from the JBCA group are leading the simulations work for the COMAP experiment. The JBCA group have developed a full end-to-end parallel intensity mapping pipeline that can simulate observations with large detector arrays, various types of noise and foreground emission, systematic errors, calibration, map-making, component separation and cosmological likelihood analyses to name just a few! With a sensitive focal plane detector array, and surveying a small patch (few sq. deg.) of sky for several years to detect faint CO in galaxies at high redshift, end-to-end simulations will be vital in understanding COMAP data. COMAP is currently the leading CO mapping experiment in the world, which ultimately will be achieved with the SKA in about a decades time. The photo is of the COMAP collaboration at a dinner in Oslo, 19-21 June 2017. The project is a collaboration between Caltech, Stanford University, JPL, University of Maryland, University of Miami, University of Oslo and The University of Manchester. Once every couple of hundred million years, the galaxy NGC 5195 falls into the outer arms of its larger companion, NGC 5194 (The Whirlpool galaxy). This is because for billions of years, both galaxies have been locked in a gravitational dance that will result - billions of years in the future - in the formation of a single galaxy. As NGC 5195 plunges into NGC 5194, matter is streamed towards the supermassive black hole (SMBH, 19 million solar masses) at NGC 5195’s centre. This has a number of consequences: matter is “dumped” onto the SMBH, causing the formation of an accretion disc; eventually, as the disk grows, the SMBH can no longer accrete efficiently. The immense forces and pressures that occur within the region then push matter out into the interstellar medium (ISM), creating an event of galactic proportions that is observed across the electromagnetic spectrum. In 2016, Schegel et al observed the result of this event as a pair of X-ray and ionised Hydrogen (H-alpha) arcs, and described it asresulting from the “force-feeding” of the SMBH of NGC 5195. Left: NASA APOD image (https://apod.nasa.gov/apod/ap090526.html) of the Whirlpool galaxy. 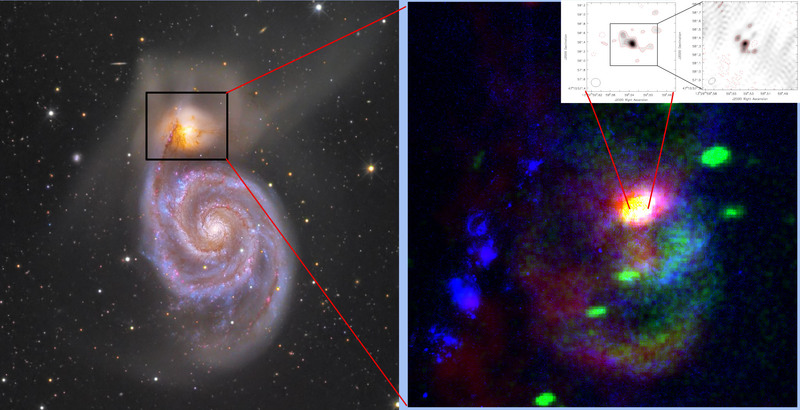 Right: False colour rgb image of NGC 5195 via combining the VLA 20 cm radio image (red), the Chandra X-ray image (green), and the Hubble Space telescope H-alpha image (blue). The image shows the X-ray and H-alpha arcs, as well as the radio outflows from the SMBH. Right inset: e-MERLIN maps of the nuclear region of NGC 5195 at 1.4 GHz (left) and 5 GHz (right). The images display a partially resolved source with possible parsec-scale outflows. Recently, high-resolution images from the e-MERLIN array have revealed, embedded within the core of NGC 5195, parsec-scaled outflows of matter from the nuclear SMBH that are the driving mechanism of the kilo-parsec scale outflows and arcs visible in the lower-resolution VLA images. Comparing the VLA images to X-ray (Chandra) and H-alpha (HST) images, shows that are they are not only connected, but that the radio outflows are in fact the progenitors of the X-ray and H-alpha structures. As matter is forced out from the disk surrounding the SMBH via a shock wave, electrons are accelerated close to the speed of light causing them to emit energy at radio wavelengths as they interact with the magnetic field of the ISM. This shock wave then inflates and heats up the ISM, which emits in the X-ray as well as stripping the electrons from surrounding neutral Hydrogen atoms, creating the beautiful H-alpha arcs detected by Schegel et al. The age of the arcs in NGC5195 is 1-2 million years. Thus while the first traces of the matter were being forced out of the blackhole in this system, our ancestors were learning to make fire. 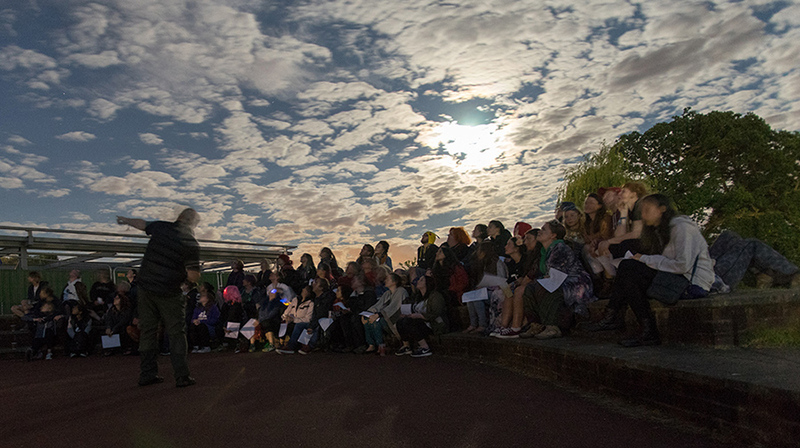 On 22nd June 2018, members of the Worldwide LHC Computing Grid (WLCG)vcollaboration visited the Jodrell Bank Observatory as part of the annual WLCG workshop, which was hosted by the University of Manchester. The Worldwide LHC Computing Grid project is a global collaboration of more than 170 computing centres in 42 countries, linking up national and international grid infrastructures. The mission of the WLCG project is to provide global computing resources to store, distribute and analyse the of data generated by the Large Hadron Collider at CERN. The observatory visit was preceded by three days of presentations and discussions that included cross-community perspectives on the future development of the WLCG and how plans for a European SKA Data Centre, being designed by the AENEAS project, could benefit from and support that development, as well as learn from the experience of the WLCG community. The UK and the University of Manchester are playing a leading role in the AENEAS project, contributing to the design of processing, storage and networking within the proposed data centre, as well as defining the scientific ambitions that the centre will support. A full list of the presentations from the meeting is here. As astronomy moves into the Big Data era, with next generation facilities such as LOFAR and JVLA already producing datasets that routinely run to tera-bytes, the ability of researchers to reproduce results from the literature, as well as providing transparency in their own research methodologies, is becoming increasingly important. Reproducibility is a key component of the scientific method and although astronomy has been a leading field in the area of Open Access, with the arXiv leading the way in making scientific results available to the whole community, the wider principles of working open: Open Data, Open Source and Open Processing have been slower to catch up. The 4IR Data Intensive Science CDT is a collaboration between the Universities of Manchester, Lancaster and Sheffield, and includes both the School of Physics & Astronomy and the School of Computer Science at the University of Manchester. The mission of this new CDT is to develop future leaders in the data intensive methodologies underpinning both modern science and the fourth industrial revolution. Research projects in the 4IR CDT will focus on data intensive aspects of cutting edge research across Astrophysics, Particle Physics and Nuclear Physics, and will include placements with partner organisations in the commercial, industrial or private sectors in order to look at the wider applications of data driven research outside a University setting.To support future generations of scientists in working open the new 4IR Centre for Doctoral Training, lead by the University of Manchester, has partnered with the Mozilla Science Lab in order to provide assessed training in working open to the next generation of PhD students. Mozilla is one of the world's largest Open Source projects and has a manifesto that highlights transparent community-based processes to promote participation, accountability and trust. The Mozilla Science Lab is a community of researchers, developers, and librarians making research open and accessible. To support our students and staff in learning how to work open, the JBCA Interferometry Centre of Excellence has also appointed a new Open Science Champion, Dr Rachael Ainsworth, who will work with Mozilla and the research community to promote and facilitate Open Science training. Together Mozilla Science Lab and the 4IR CDT will ensure that students trained through the program will not only become experts in data intensive research, but that they will also have the tools to enable them to become leaders in Open Science, ensuring the maximum potential from next generation data intensive science. An international team of astronomers led by The University of Manchester have found evidence of a new ‘missing-link’ black hole in the Milky Way galaxy, hidden in the Sagittarius constellation. My PhD concentrated on searching for pulsars, the dense cores of dead stars that spin rapidly. They can be used to test theories of gravity and future prospects include using them to detect gravitational waves. To date approximately 2500 pulsars have been discovered but we estimate that 20,000 are detectable. In order to fully understand the entire family of pulsars the search for pulsars must continue. My research concentrated on analysing data from the LOFAR Tied Array All Sky (LOTAAS) survey for pulsars and transients using the LOw Frequency ARray (LOFAR) in the Netherlands. My work contributed the first 20 pulsars discovered in this survey and their pulse properties. In addition, I analysed data from the High Time Resolution Universe pulsar survey with the Parkes Telescope in Australia and discovered another 6 pulsars. As technology advances so does the data output of pulsar surveys and I also developed machine learning techniques to classify pulsar candidates. 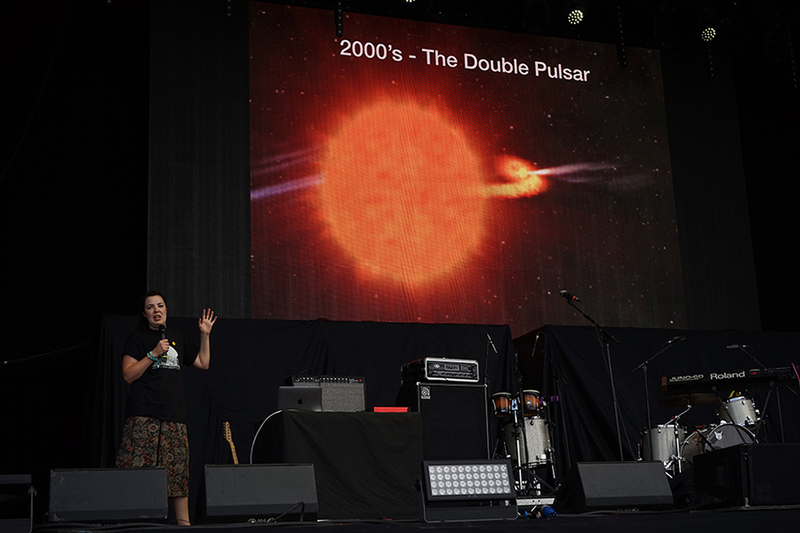 During my PhD I also worked on the citizen science Pulsar Hunter Zooniverse project on BBC Stargazing Live. The region of sky searched by both the LOTAAS and HTRU pulsar surveys and the contribution of pulsars by this thesis. David Cuadrado-Calle has recently completed his PhD degree in Astronomy and Astrophysics, working in a joint project between the Jodrell Bank Centre for Astrophysics (with Prof. Gary Fuller) and the School of Electrical and Electronics Engineering (with Prof. Danielle George). His PhD thesis is titled “Millimetre-Wave Low Noise Amplifiers for the ALMA Telescope”. Recent advancements in transistor technology, such as the 35 nm InP pHEMT, allow for the development of Monolithic Microwave Integrated Circuit (MMIC) Low Noise Amplifiers (LNAs) with performance properties that challenge the hegemony of Superconductor-Insulator-Superconductor (SIS) mixers as leading radio astronomy detectors at frequencies as high as 116 GHz. In particular, for the Atacama Large Millimeter/submillimeter Array (ALMA), this technical advancement allows the combination of two previously defined bands, 2 (67–90 GHz) and 3 (84–116 GHz), into a single ultra-broadband 2+3 (67–116 GHz) receiver. This project is encompassed within an international collaboration led by the European Southern Observatory (ESO), which is working on the development of a band 2+3 receiver prototype for ALMA. During his PhD, David has designed, developed and characterised the first cryogenic LNAs in the world capable of operating in the frequency range of ALMA band 2+3, with a noise performance better than the ALMA receiver specifications for both individual bands 2 and 3. The best LNAs reported in this work feature a noise temperature less than 28 K from 70 GHz to 110 GHz, which is typically designated as W-band, setting a new record for low noise performance. These excellent results provide evidence of the feasibility of the merge, and pave the way for the development of a new generation of ultra-broadband receivers of great interest for future radio astronomy. Moreover, the LNAs reported in this work, can also be suitable for other non-astronomical applications such as millimetre-wave imagers or automotive radars, for which demand is growing. ‌My Ph.D. research was on pulsar timing, which is a technique that exploits the remarkable rotational stability of pulsars, and allows them to be used as 'cosmic clocks' in precision astrophysics experiments. In my thesis, "High-Precision Pulsar Timing", I have used 30 years of observations of the Crab Pulsar with Jodrell Bank Observatory's 42-ft and Lovell telescopes to measure long-term variations of dispersion and scattering, caused by ionised matter in the Crab Nebula. I have used these measurements to improve the timing precision of the Crab pulsar, and to constrain the size of density variations within the nebula. Using timing data from the European Pulsar Timing Array (EPTA), together with earlier data from the Lovell telescope, I have measured variations in the ionised interstellar medium along the line of sight to 31 millisecond pulsars, and explored techniques for removing their impact on timing precision. I have also used this data set to identify a small change in spin-frequency (known as a 'glitch') of one of these pulsars, J0613-0200. This glitch is the smallest that has been detected in any pulsar to date, and only the second to be observed in a millisecond pulsar. I have searched for so-called 'giant pulses' (extremely bright single pulses that appear to be caused by a different mechanism to the ordinary emission) in observations of PSR B1937+21 taken with the Large European Array for Pulsars (LEAP). In doing so, I have compiled the largest-ever sample of giant pulses for this pulsar, which I have used to measure the properties of pulses from single rotations, and to explore the possibility of timing the pulsar using giant pulses. One of the main observational targets of the Cosmology community is the B-mode polarisation of the Cosmic Microwave Background, a unique spatial pattern imprinted on the first radiation ever emitted in the Universe. Its observation is significant because it provides evidence to support inflation, a key theory in our model of the Universe. Its detection has so far eluded the world’s most advanced telescopes including ESA’s space-based observatory; Planck. My PhD focused on developing new components for the next generation of telescopes to bring us closer to measuring this signal. The B-mode polarisation is an extremely weak signal and current telescopes are not sensitive enough to measure it. Astrophysical sources such as the galaxy, and the telescope itself, also induce signals which swamp the target B-mode signal making it even more difficult to measure. Careful design of the telescope is therefore required to ensure that we maximise the sensitivity whilst minimising the induced signals from the telescope. Telescope sensitivity can be achieved by adding more detectors. However, previous generation technology such as corrugated feedhorn coupled bolometers, which are relatively large, heavy and expensive to manufacture, are unsuitable moving forwards where they will be required in large quantities. My PhD has developed a new technology; a planar antenna coupled mesh lens. The technology is small, lightweight and mass-producible using common clean room techniques. A comparison of the planar antenna coupled mesh lens with a corrugated horn antenna is shown below (to scale). I developed the first prototypes of the new technology, working on the design, the fabrication and the testing in our labs at JBCA. 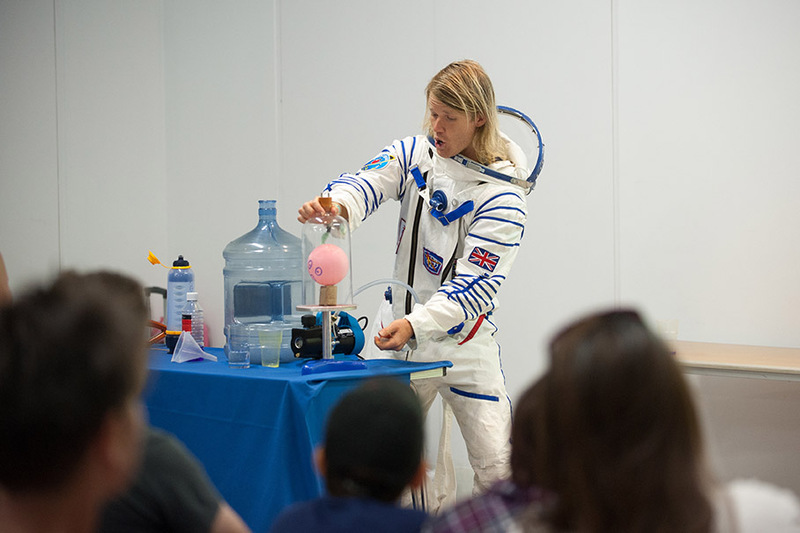 The work was conducted with a collaboration of institutes from across Europe and funded by the European Space Agency. Comparison of the size improvement with the planar antenna coupled mesh lens. One of the fabricated planar antennas. Simulation of the planar antenna coupled mesh lens.